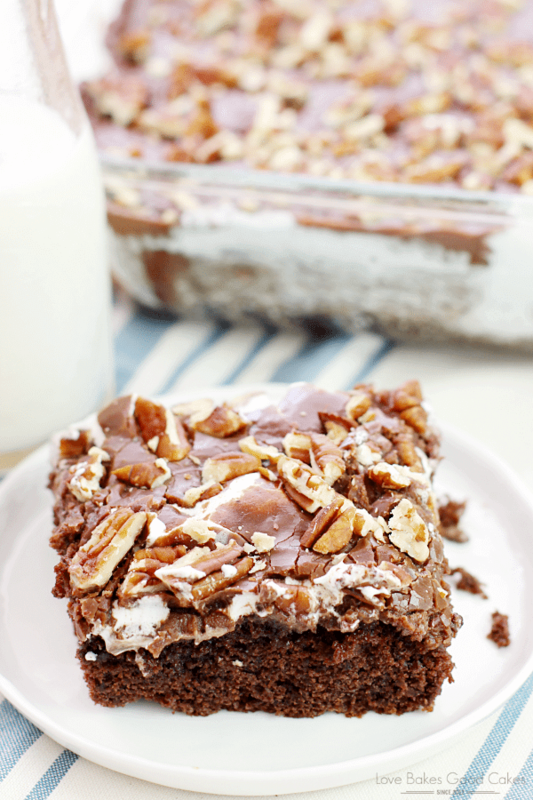 Mississippi Mud Cake – a Southern classic cake with chocolate, marshmallows, and pecans! Everyone asks for THIS recipe!! Do you have a favorite dish that you like to take to potlucks or family gatherings? Since my family is a little bigger than the average family – there are still 6 out of 7 of us still at home! – I usually make it a point to bring at least 2 or 3 dishes when we are asked to bring a covered dish to various functions. I usually bring some sort of side dish, like my Creamy Pea Salad or a 7 Layer Salad, since they’re a little bit different from what most people think to bring. I also always bring a dessert! No surprise there, right?! 😀 I have soooo many desserts that I enjoy sharing, but this Mississippi Mud Cake definitely ranks in the top three favorites! 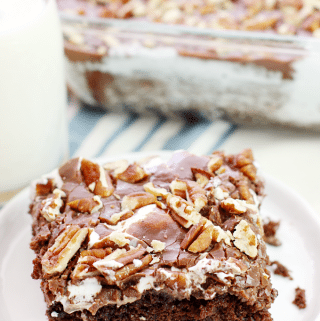 Mississippi Mud Cake is a Southern classic … I’m sure everyone’s Grandma or aunt has their own version. 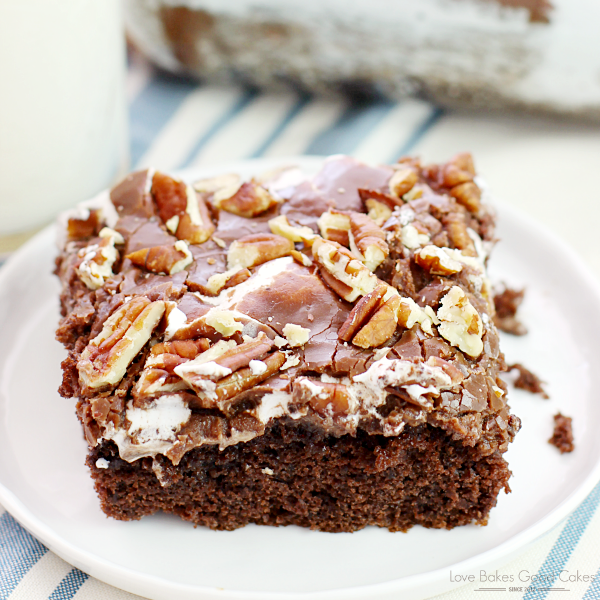 I mean, what’s not to love about a chocolate cake topped with marshmallows, a crackly chocolate icing, all topped with pecans?! No wonder it’s a classic, huh?! It’s almost sinful …. almost. 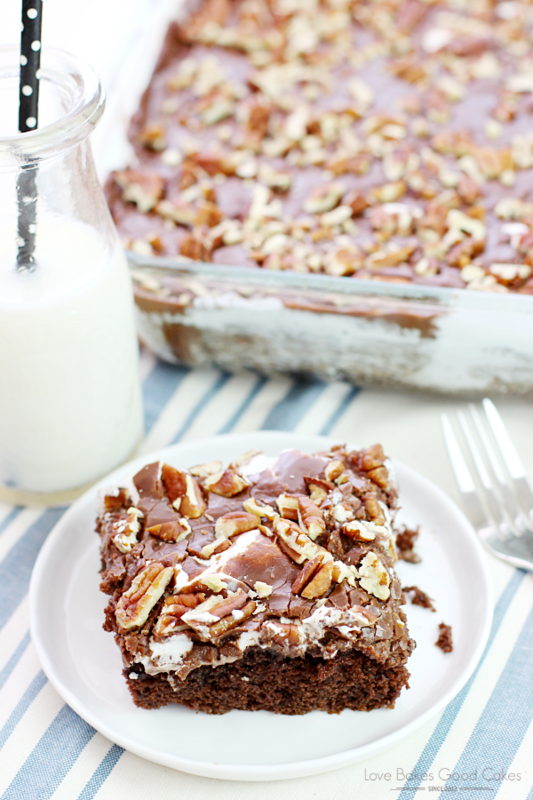 Mississippi Mud Cake - a Southern classic cake with chocolate, marshmallows, and pecans! 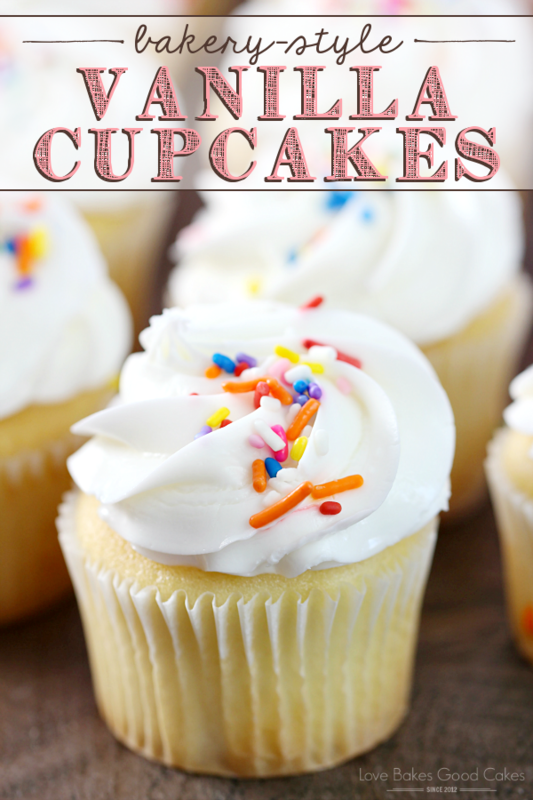 Everyone asks for THIS recipe!! Preheat oven to 350°F. Lightly spray a 9x13-inch baking pan with cooking spray and set aside. In a large mixing bowl, combine the cake mix, melted butter, buttermilk, eggs and vanilla with a hand-held mixer on medium speed until well combined, stopping the mixer to scrape down the sides of the bowl once. Pour the batter into the prepared pan. Bake cake for 40-45 minutes, or until it tests done when a toothpick is inserted near the center. Remove cake from oven and immediately spread the marshmallow creme over the cake. Melt the butter in a medium saucepan over low heat until melted. Whisk in the cocoa powder and milk. Stirring constantly, bring the mixture just to a boil; immediately remove from the heat and whisk in the powdered sugar until thickened and smooth. Pour the hot frosting over the marshmallow layer and carefully spread the frosting to the edges. 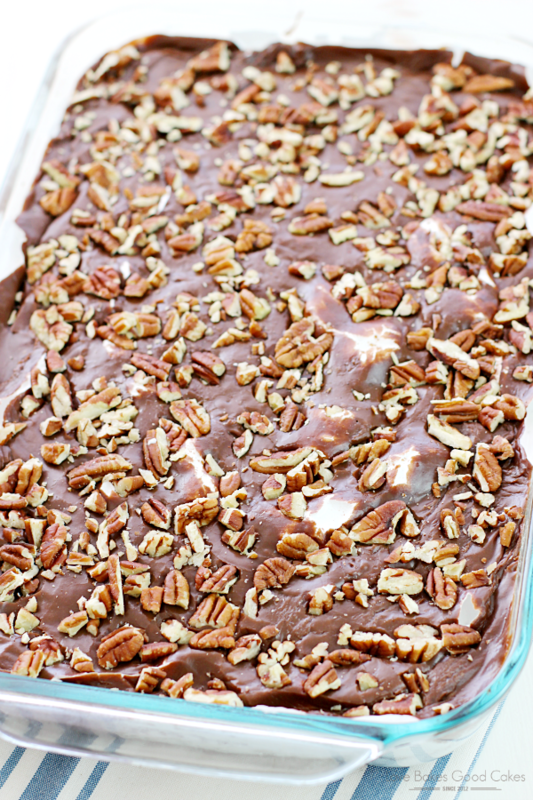 Sprinkle the pecans over the top of the cake. Let cake cool completely before serving. Yum! That looks like a perfect potluck contribution. I must not live quite south enough for this to be a customary dish, but now I can't wait to try it! Once you try it, you'll be hooked too! 🙂 Thanks for stopping by, Carlee! I hope you enjoy it, Lise! This definitely looks like it would feed a crowd and make every single person happy! 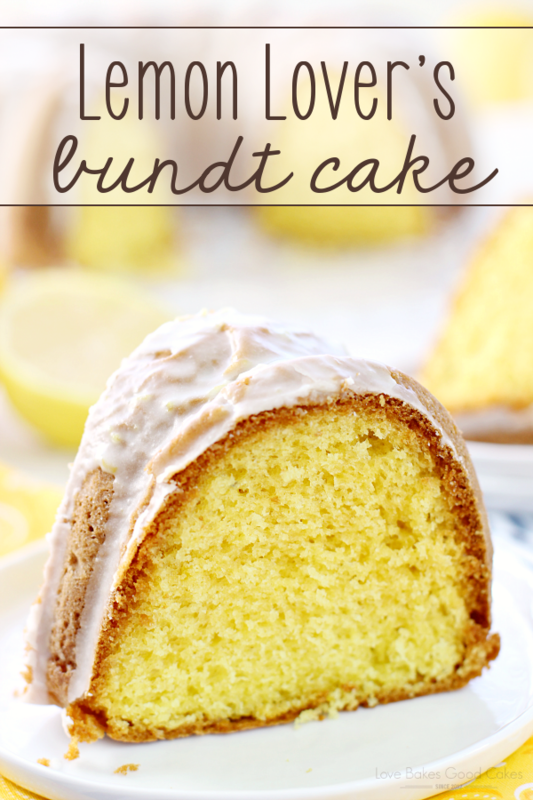 This is the perfect dessert for a gathering! Thanks, Marcie! It's always a winner wherever I take it! I want to eat the frosting by the spoonful. Thoughts? This cake would definitely be perfect for a family gathering!